Here's something different and exciting for all you adventurous people out there! Bring your jeep and join Dixie 4 Wheel Drive for a BBQ and some trail runs. They have different skill levels so be sure you show up to the one that best matches your talents :-) Everyone is invited! For more information visit their website by clicking here or give them a call at (435) 673-2546. 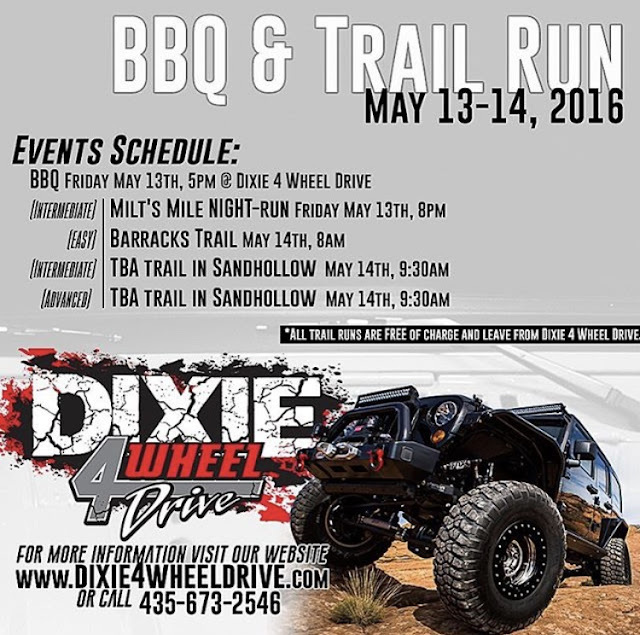 Dixie 4 Wheel Drive does trail runs regularly so be sure to check back here or on their website for the next ones.